Here's what JaDine has in store for us this November! (SPOT.ph) Are you a fan of music, arts, and fashion? Have you been itching to look your boho-chic best and don a flower crown? Are you also, amongst all of that, a JaDine fan? Because if the answer is yes, then you're in for a real treat. This coming November 5 at SMX Convention Center, SM Parisian and Milanos Shoes will be holding The Hottest Fair, a music and art festival that will feature not only the launching of the Parisian and Milanos’ Holiday Collection in a must-see fashion show, but also a surprise from none other than James Reid and Nadine Lustre! 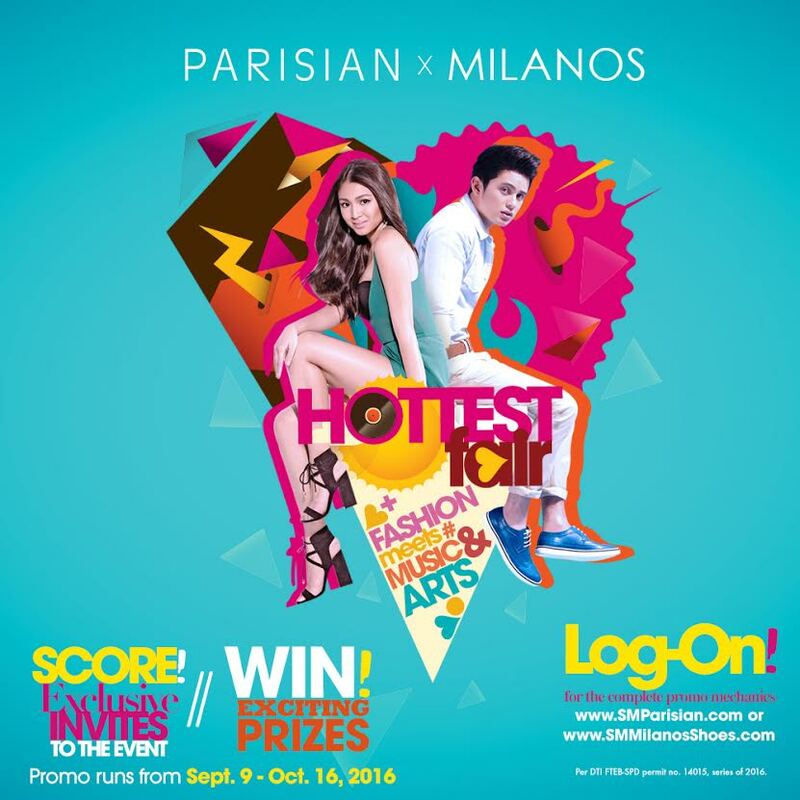 If you’re as excited as we are, then you’d be glad to know that Parisian and Milanos will be raffling off the tickets to the event in a special promo running from September 9 to October 16. Easy-peasy, right? So make sure you don’t miss out and get on this promo ASAP!